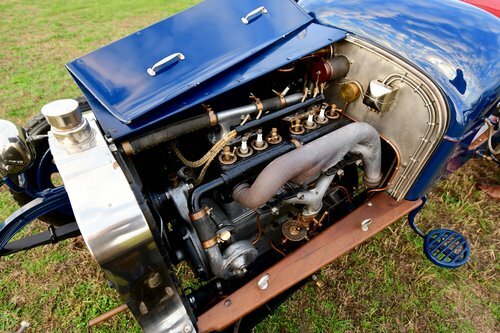 Vintage and Prestige are proud to offer this 1916 Talbot 4CY 15/20 "The Qantas flyer" For Sale. 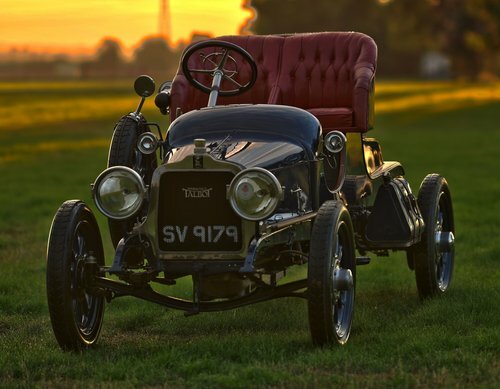 The car has been fully restored and as a result is presented in impeccable condition. 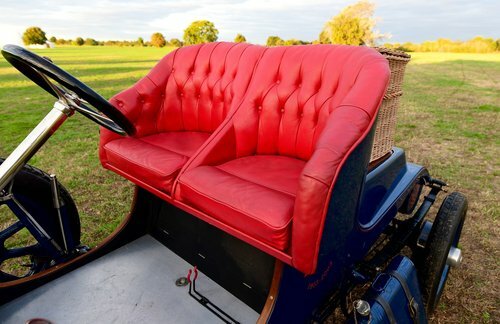 Exterior paintwork is blue with red buttoned leather adorns the interior seating surfaces. Powered by a 2.600cc four-cylinder engine which develops some 38bhp. 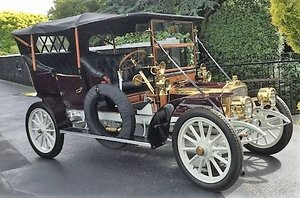 The car was built in May 1916 and dispatched three weeks later to the Canada Motor and Cycle Agency in Brisbane, Australia. This Talbot which served as Qantas Airways first car whilst in the early days of business. 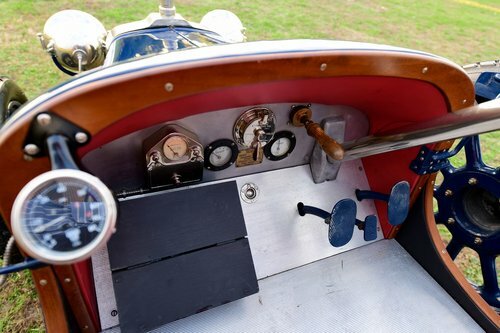 The car is fitted with a rudimentary flatbed loading deck and was used by Qantas for trips to the outback as a service and rescue vehicle, repairing downed aircraft and collecting crew; a role it performed until at least 1927. The restoration of the vehicle was put on hold due to lack of funds and the car was sold. It turned up with a Scottish collector and during 2001 the restoration work commenced. The car was re-bodied as a balloon car to recover balloonist, with a rear deck designed to carry the balloon basket. 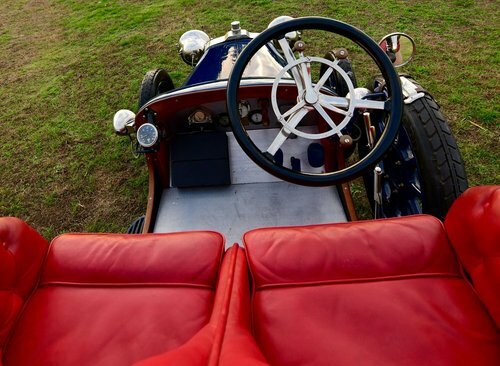 The refurbishment was completed during May 2002 in time for the 4CY to contest the Liege-Rome-Liege Retrospective Rally, finishing in Venice, in the very capable hands of long-time Mille Miglia racer and collector, Warren Kennedy. The two-seater made light work of the event and complete each stage with alacrity. It has since completed various other European rallies including the 'Circuit des Ardennes'. As well as a comfortable 55mph cruising speed accessed via its four-speed transmission, 'SV 9179' boasts an 'instant start' mechanism whereby a suitable spark is sent to all four cylinders which burst into life providing they are charged with sufficient fuel/air and the car has been running recently (electric starters were still far from commonplace). 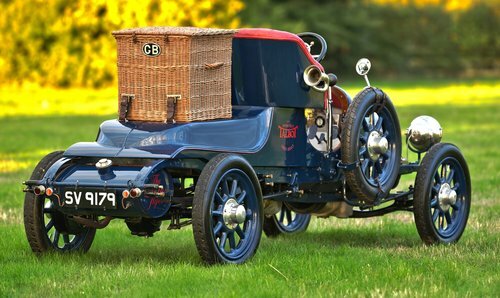 This charming Talbot has covered circa 10,000 miles since the restoration was completed and has recently had its rear axle overhauled with a new crown wheel and pinion. In our showroom and ready for viewing. 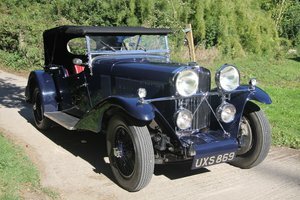 Talbot DC, all restored, 1958 cc, 4 cylinders, matriculate in Barcelona, 23-5-1924, it runs very well. The car was bought in Barcelona many years ago. 1980 Talbot Alpine LS One family owner. sports car for 3 in very good condition, fiberglass on galvanized frame, leather seats, central lock - with remote control. New sump gasket (in aloy. ), New exhaust, wiper motor, heater motor, ignition coil, brake pads and new tires. clutch and synchromesh in 2 & 3 gears replaced .